If you or a loved one is struggling with the need for rehabilitation services, Continuum Home Health care may be able to provide the experience, skill and compassion to help you cope with this difficult situation. Continuum Home Health’s Connecticut-based rehabilitation counselors provide our patients with the tools to better manage and maintain health, starting in the comfort of familiar home surroundings. Whether you or a loved one is recovering from an injury, surgery, or learning to live with orthopedic, neurological, pulmonary or cardiovascular disorders, Continuum Home Health’s rehabilitation services can help restore the health and functional skills necessary for participating in daily activities at home, school, work or in the community. 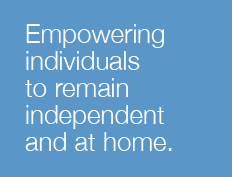 Continuum Home Health’s in-home rehabilitation patients may have experienced reduced tolerance for out-of-home activities, fear of leaving the home, secondary illnesses, poor compliance with home exercise plans, inadequate family or social support, or inconsistent transportation. For some of our home health rehabilitation patients, in-home rehabilitation is the only realistic option — especially when travel, fatigue or other barriers prevent attendance at traditional outpatient clinic-based therapy. With Continuum Home Health’s in-home rehabilitation services, patients do not have to find transportation to make it to and from physical therapy appointments. Our services are designed for anyone who, for whatever reason, prefers to have outpatient rehabilitation services in the convenience, comfort, and safety of a home setting. Many of Continuum Home Health’s patients tend to respond better in an in-home environment. Providing rehabilitation services in patients' homes often results in better outcomes: higher compliance, less-likely relapse, better attendance, more complete participation in therapy, and quicker recovery. 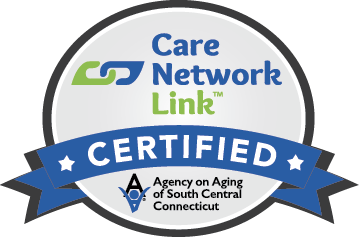 Continuum Home Health is committed to providing compassionate, quality Connecticut home rehabilitation and healthcare and to work with our patients to determine and reach their health and lifestyle goals. We will work with our patients, their doctors and their families to manage the effects of disability or illness in order for our patients to reach the highest possible level of independence and quality of life. Continuum Home Health listens to your concerns with compassion about the limitations that come with each patient’s unique condition. Our rehabilitation counselors and rehabilitation therapists work closely with referring physicians to accomplish each patient's individualized goals and functional mobility targets based on the referring diagnosis – all the comfort and convenience of our patients’ homes. Our team communicates regularly to coordinate rehabilitation program efforts so the patient’s specific needs are met. In addition, communication with family and caregivers is ongoing. Our goal is to provide you or your loved one with the best care possible while keeping you as informed and involved in the process as we are able. When you call Continuum Home Health, a rehabilitation specialist will listen to you and answer your questions. This conversation is followed by a personal assessment in the privacy and comfort of your own home. You will find out what to expect given your specific condition. We will address your issues and concerns and explain how our rehabilitation therapists and home rehabilitation programs can assist you. In close cooperation with you and your family, we will build a personalized care plan and rehabilitation program, subject to your doctor’s approval, that meets your healthcare needs. You can trust Continuum Home Health care to take charge of your situation and coordinate everything, all with expertise and compassion. Feel free to call us anytime at 877-782-3192 to discuss your needs. To make a referral, call 877-782-3192.